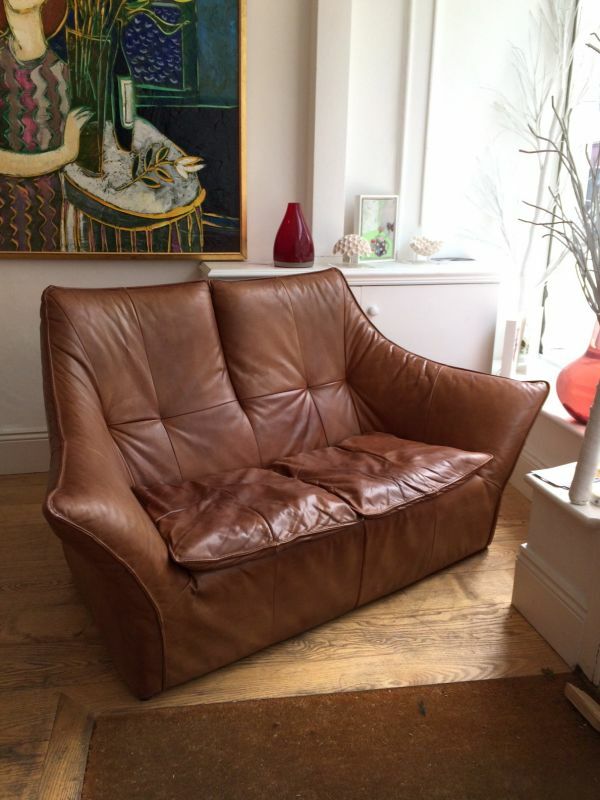 A very exciting leather sofa. It was designed by the Dutch designer Gererd van den Berg in the 70s and made by his company - Montis. 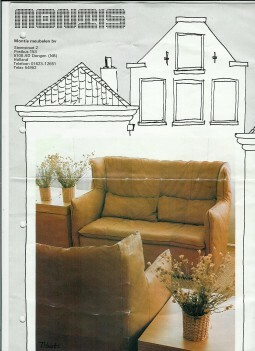 This sofa was actually named Denver (see the photos of the 1970s catalogue). Work by this designer is not easily found. 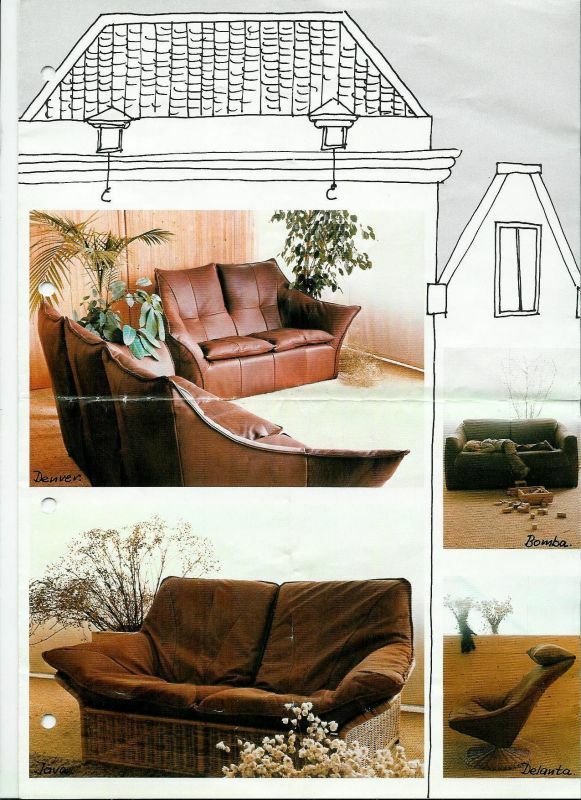 His designs were always comfortable, well made and innovative. 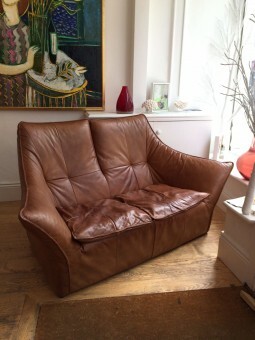 The leather is very soft and supple. It has been well used, it has a few marks and scratches, but has developed character and good patination. It has been cleaned and waxed and is ready to go straight into a home and be the centre piece of the room. The sofa is very comfortable - it is high enough to rest your head, the back fits nicely into your lumber, and the sides are at a good height to rest your arms. The measurements are 65 inches wide (165 cm), 29 inches deep (74 cm) and 35 inches high (89 cm), and the seat is at 15 inches (37 cm).